COMING HOME, Porter Brothers book one, by Paloma Beck is now in audiobook version. Narrator Kim Park brought the book to life. We originally reviewed this book in ebook format HERE. "I LOVED this book. Everyone knows that I love the Chase brothers series by Lauren Dane. With that being said, I think I have found a new addition. With this being book one, it sets up for what's to come and I can't wait!" Ryan Porter needs a change from his busy city lifestyle. After five years of living in New York and establishing his own real estate firm, something is still missing. When a tragedy brings Ryan back to his family's rural home in Maine, he finds that missing piece. Tyra has heard stories of Ryan since she first met his family years earlier. Now Ryan has come home, and he is more than she dreamed he would be. Neither can fight their attraction for the other. And while Tyra just might be the catalyst for the change Ryan needs, first he must embrace Tyra's secrets. With family secrets creeping out, a profitable relationship ending, trouble with his company, and the unexpected loss of his father, Ryan's life has been thrown off course. The one thing he's got going for him is the new woman stirring up emotions he's never experienced before. Tyra might be the one who convinces Ryan there's truth to his mother's tales of a soul mate. Audible members use 1 credit or $13.96. 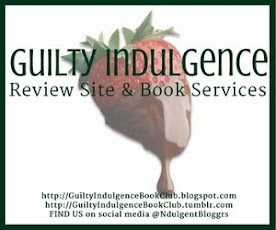 Are you a reviewer like us? If you'd like a FREE COPY in exchange for an honest review, PM Paloma on twitter.